When I was a kid, this was a popular rhyme with a naughty ending. 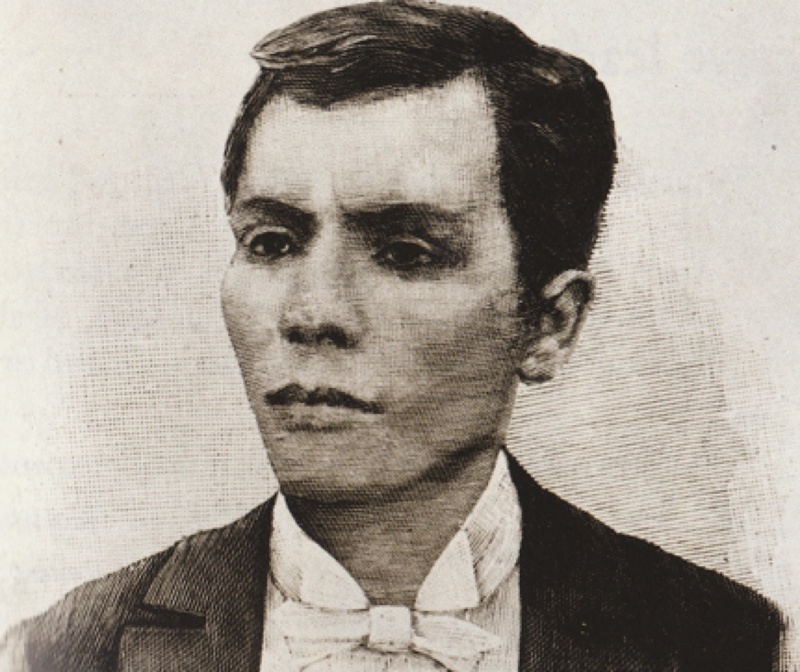 One of the bravest, the most aggressive, and the most ambitious of the Filipino heroes, the Supremo was one of the founding members of the Kataastaasang, Kagalang-galangang Katipunan ng mga Anak ng Bayan. Later on, the Katipunan led the "premature" armed revolt which sparked the independence of our country. Married twice after the loss of his first wife to leprosy, he never had any direct descendants. From accounts of historians, he wasn't a prestigious military leader but was a great tactician. He was never really good at politics but he could rally people with his passion and his love for his countrymen and country. Too bad because he was beaten to the presidency of the Philippines and was "executed" for crimes of treason against a "government" which his Katipunan created and nullified on a council session. I'd say he was assassinated, to which many historians agree. Still, no matter how bitter Andres' end was, his accomplishments are just too great to ignore. Even though Jose Rizal did not give blessing to him (did Andres really needed that? ), probably because of lack of plan to fully execute a successful revolution, he was the first to rally the thousands who are willing to die for freedom. We went to war anyway, and although he initiated, he didn't expect things to go as they did. But the important thing is he rose to the occasion. 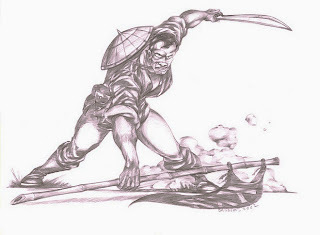 Acts of violence is a last resort, during the time of Bonifacio, the choices are to wait, get abused and raped, or stand-up and fight. He said we must choose to fight. And we won our freedom. My first encounter with this legendary bird wasn't very overwhelming. The Sarimanok appears on the station ID of a local TV station in the Philippines back in the late 90's which one can probably see at least twice a day. It became just a nice bird with lots of colors. It doesn't seem very special, and it looks like a rooster. But then again, the bird is very symbolical. It means wealth and prosperity to the Maranaos. Tracing its roots to Islam due to the involvement of Muhammad in this, it is of no surprise that its popularity is widely accepted in the southern parts of the country. 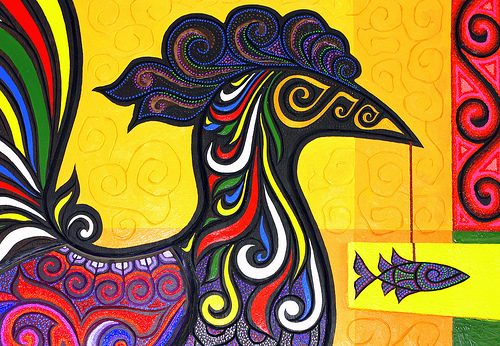 The Maranao legend says of a sultan's daughter being swept by a colorful rooster that turned to a dashing, handsome young man and the two was never seen ever again. The sultan then created visual replicas of the bird so that she can remember her daughter through it. Maybe he finds it easier to remember the chicken, rather than her daughter. It is surprising that we Filipinos have a legendary bird too, just like the Phoenix. It is through the nature of its appearance that it probably got its name. Sari means cloth or garment, which is generally full of colors and Manok (you should go back to being a baby if you're Filipino and don't know what manok is). 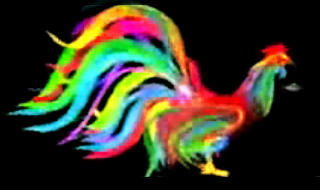 The Sarimanok is a colorful chicken indeed. The only reason why I am aware of this day is because its after a due date of a payment I have to make. Seriously, is anyone still looking forward to Independence Day? I did. That was the time when Independence Day, Will Smith and aliens means the same. Declaration of Independence is real, it just wasn't quite valid! Spain just passed the reigns to the United States and a mock-up battle in Manila Bay was staged just to show an event. Twenty Million Dollars. That's how much Philippines was worth in 1898. But of course that doesn't spell any difference to a country under colonization for 400 years. We were just glad it was all over...or so we thought. Still more years of struggle came against a different colonial nation. But yes, eventually we did get our "independence." Quite colorful isn't it? Still Araw ng Kalayaan is worth remembering. In memory of the fallen warrior heroes who fought and sacrificed, in their passion and vision for their children to have freedom. For their burning desire to liberate, and playing a game of chance with fate, we owe them commemoration. 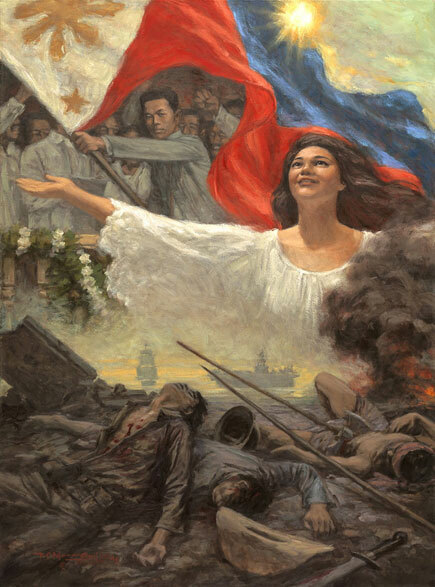 But since its not National Heroes Day, I think it is also proper to give gratitude to the politicians who used politics for us to finally gain freedom. Team effort, I suppose.